We believe that real growth happens from the inside out. 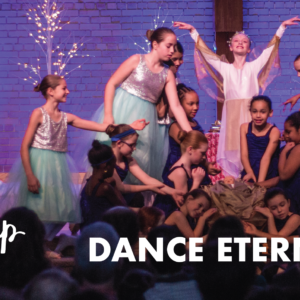 Our Eastbrook Kids team is committed to presenting kids with a picture of Jesus that is irresistible. Rather than using the Bible to focus solely on behavioral outcomes, we want to point kids to who Jesus isand what He has done. 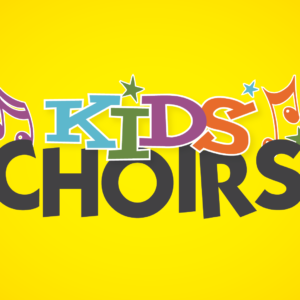 We believe that when children are drawn into a love relationship with Jesus, the Holy Spirit transforms their hearts, and leads them toward good choices and actions. To this end, we are committed to a study of God’s Word that puts the gospel message at the center of every lesson and every story of the Bible. And, we are helping children to see that all Bible stories are really part of one great story—the story of God’s redemption plan. Because babies usually have their first exposure to church in the nursery, we strive to provide them with a comfortable and secure atmosphere where they can experience God’s love through His people. Our Let’s Grow! Preschool gently transitions children from the childcare setting of Nursery to a Sunday School setting. We do this by introducing simple Bible stories, crafts, or other sensory experiences, in addition to free play time. Using The Gospel Project curriculum, all of our children from preschool through 4th grade are learning the same lesson on the same Sunday, with their lesson presentation and activities differentiated for their age level. So, come Sunday evening, you can review Sunday School lessons as a family, because all of your preschool-4thgraders will have had the same Bible content. Club 56 seeks to strengthen kids’ spiritual foundation by teaching an overview of the Bible (in Grade 5) and the basics of the Christian faith (in Grade 6). Club 56 leaders encourage kids to ask tough questions about their faith and to dig into the Bible for answers. 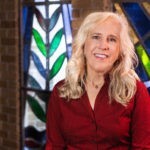 Just as children have physical and cognitive developmental milestones, they also experience points of readiness for new steps of spiritual growth. 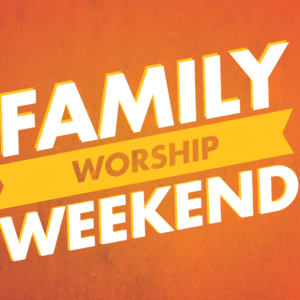 Each FaithMarker involves participation at home and at church. 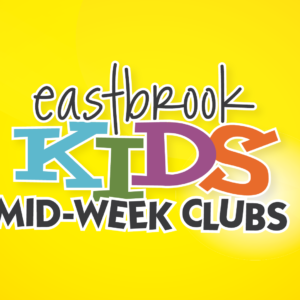 In summer, Eastbrook Church holds day camps on our campus. We provide a fun, safe place for kids to have fun, make friends, develop skills—all while being encouraged to draw closer to Jesus. 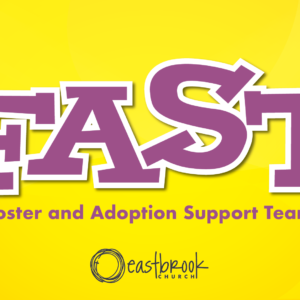 The FAST (foster/adoption support team) ministry provides prayer, encouragement, fellowship, education, and resources to families..